Everyone dreams big when it comes to making over their home. And there is absolutely nothing wrong with that! But if your budget is limited, you may want to consider some cheap home decorating ideas that can still make a big difference and be light on your budget. This way you don’t have to feel like you settled and you still get to makeover your home. Here are three very simple and very budget friendly projects that can help you achieve this. The easiest and most cost-effective way to change the feel of any room is to add a new coat of paint. Maybe you’ve always wanted a different color scheme or maybe your walls are just looking dingy? Either way a new coat of paint will do the trick. This is your chance to freshen up your space or add a new twist. If you don’t know what you want, spend some time looking through some magazines or online to find a color scheme that appeals to you. Not only can a new coat of paint revitalize a space, but it can also do wonders for you! Maybe that blue that’s been up for years is bringing your down? Why not go with a brighter color and see if you can’t cheer yourself up! 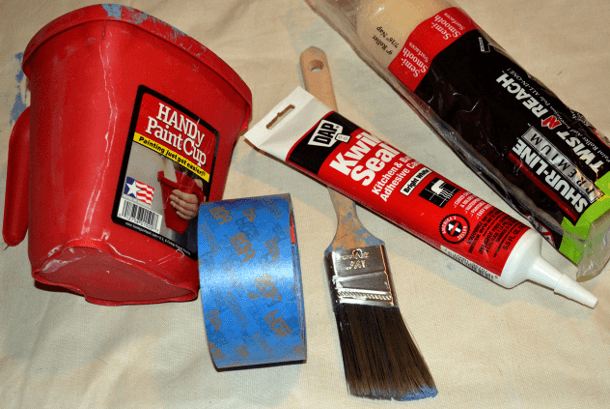 Plus one gallon of paint only costs around $2o (keep in mind though painting supplies will cost approximately $15-$30 more if you don’t already have them). New window treatments or curtains will also make a huge difference. Maybe the blinds you’ve got up now hardly let any light in? Bring in some shears or 2″ faux wood blinds and see how much difference natural light makes. Perhaps the opposite is your problem? If you work at night and need to sleep during the day, how about getting some light blocking privacy panel curtains or some room darkening cellular shades. Either of these options is sure to help you sleep more during the day and give you the energy you need to keep you up all night long. On top of that, you’re finally getting the sleep you need and you can also get colors that will coordinate your new paint color and help with personality in your space. Depending on what style you choose and the size of your window, new window treatments start as low as $10 for in stock selections at home improvement stores. But they can get costly quickly going upwards of $300. Hang some new art or photos on the walls. If you don’t have any art work or personal touches on your wall, it probably feels like a hotel room or apartment. Make your house a home by adding some personality. Check out websites like Etsy.com to find some good deals on original artwork. Then frame them yourself by shopping at discount stores and craft outlets. These stores are also a good place to look for frames and matting supplies for your own photos or scrapbook pages. Last year I found three prints that worked perfectly in my newly decorated kitchen for $10 each. I then went to a local craft store and found frames that were 40% off and cost me only $7. At under $60 for three pieces; it was definitely a cheap home decorating idea! No matter what your vision or your budget you can decorate your home without breaking the bank! Sometimes it just takes a little additional work to make your space into your dream home, even when you can’t afford it. So try these three projects out for size and then think of other ways you can redefine your home on the cheap!